The longline season is approaching and it is time for a pre-season letter from your new fleet manager. Halibut and Sablefish IFQ season is scheduled to open on March 15th. With a little bit of luck, we will receive our permits in time for the fishery. I spoke with RAM/NMFS this week. They plan to remain open in the event of another government shutdown. RAM employees can be classified as essential and their wages could be pulled from incoming IFQ fees. The plant is slowly waking up. A Targeted yelloweye fishery opened in SSEO on the 10th of this month. The quota is 111,000 rounds pounds. Deliveries are coming across the dock with a cash price of $2.50. We are getting regular loads of bait herring from the Chelsea Dawn. The bait fishery is only open in the Craig area this year. The harvest boat is doing their best to chase down large herring. SPC worked with ALFA over the last year to request that the council keep Sablefish quotas from rising too fast. From a conservation standpoint, we want the 2014 year class to grow up and have a chance to spawn before we apply additional fishing pressure. The markets were not looking forward to a 40% increase with most of the fish being small. The council voted to roll over the quotas from 2018. The total removals will the same. The TAC will be adjusted by a small amount based on whale depredation numbers. 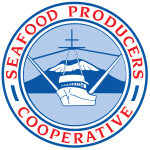 The Halibut quota was battled out at the IPHC meeting in Victoria at the end of last month. 2c quota is unchanged. 3A gets a small increase. We are in the process of tracking down bait for the season. In addition to small pollack, pink salmon, herring, and ilex squid, we are adding come cheaper alternatives. We are getting some slightly larger pollack that are great for hand bait but not perfect for autobait. We have a container of squid coming up that is larger than regular hand bait squid. The quality is high and the price is lower. I think it will be perfect for pot bait. We will also have some #2 pollack that is cheaper and good for the bait grinder. I have been asked to review our B2B, custom processing program for 2019. I am excited about this program. It is a great way for members to create some additional income as well as a way to spread the word of SPC’s high quality products. The program in 2018 was very confusing and ended up being a small loss to SPC. I am working on coming up with some new guidelines to make it more efficient for SPC and members who utilize it. We are going to roll out the new program this spring with B2B services starting up again on May 1st. If you had plans to get any fish put up before May, contact me directly and I can tell you about the changes in the program. I am trying to expand our communication systems at SPC. We have added dispatch number #2000 that goes directly to my cell phone. #2000 will get to a phone, #9932 will still get to the plant. If you want to check prices or schedule a delivery, try either one. If you send me an email from your Inreach, I will send out price changes as they happen.